Nice and big with plenty of room to walk or even ride down, it also has a minecart rail with power rails installed. 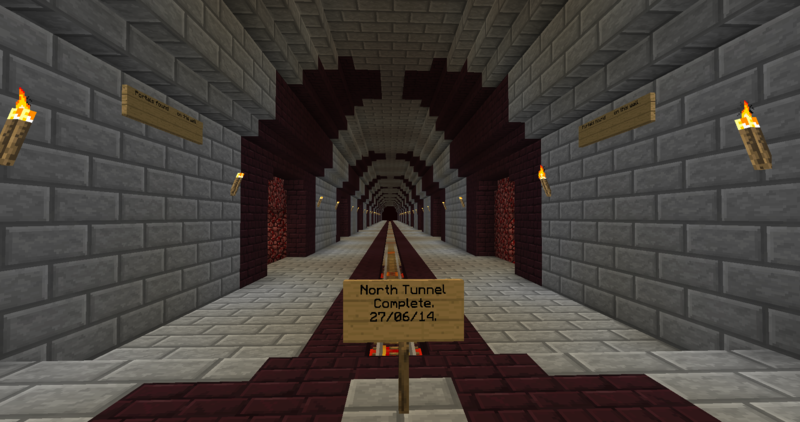 The tunnels go in directions North, East, South & West, each tunnel starts at spawn accessible from spawn portal. Please try and make the tunnels appealing to look at (not just cobble) and make an effort to prevent mob spawns such as pigmen by using slabs and other non spawnable blocks. Other things such as rails are optional. Once you make a tunnel please PM me or inform me in game so I can add a sign near spawn. Big Thanks to the following helpers! Also special thanks to dmac868 who allowed us to remove a tunnel of his to make a NHS tunnel possible. Good to see it is finally finished! Will have to remember to connect K.V.K to it. 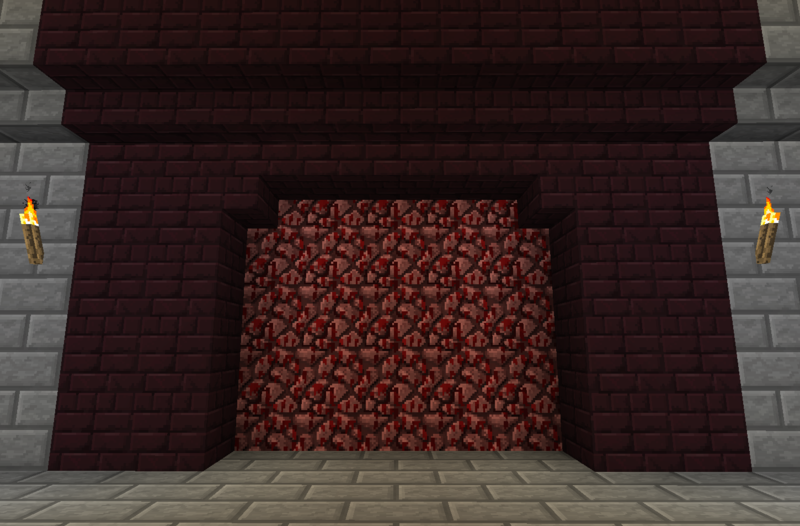 Just need to sort out my gawd damn portals! If you need any help with portals PM me your problem and I'll see if I can think up a solution. If you ever find a ghast has blown off some track, feel free to replace yourself and that would be much appreciated or let me know what tunnel it's in and I'll replace it. I would like to announce that K.V.K is finally connected to the NHS! Wooo! So come along if you want to look at a kingdom that never finishes any project it starts!